Tesla Forum Board had a great pleasure to host the dinner for two honourable guests – bishop Irinej, from the Australia-New Zealand Diocese of the Serbian Orthodox Church, and Her Royal Highness Elizabeth (Jelisaveta) Karageorgevich, princess of Yugoslavia. 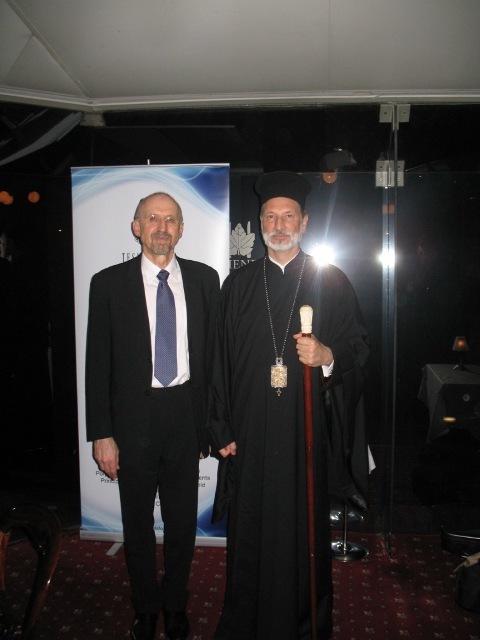 Bishop Irinej is on the Editorial Board and one of the driving forces of the Tesla Memorial Society of New York Inc., which for many years is the leading organization promoting Nikola Tesla’s contribution to modern society. 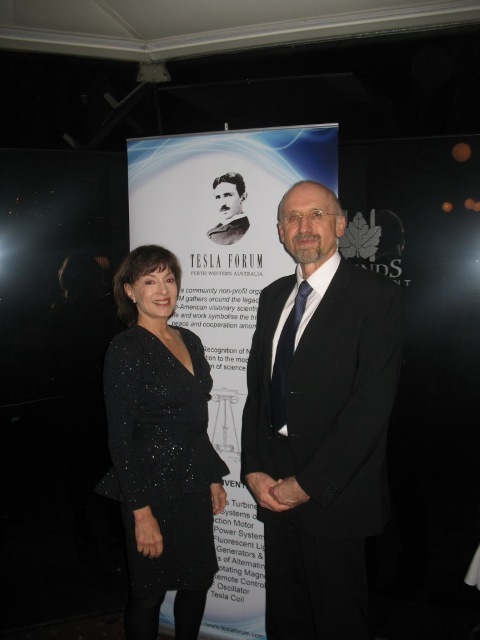 Princess Elizabeth has actively supported activities of various groups and institutions working on a promotion of Nikola Tesla’s legacy. Her father was Prince-Regent Paul of Yugoslavia, who ruled on behalf of the minor King Peter II, and her mother was Princess Olga of Greece and Denmark. She is a second cousin of Queen Sofía of Spain and Charles, Prince of Wales. Also, she is a great-great-granddaughter of Karađorđe, who started the first Serbian uprising against the Turks in 1804 and established new Serbian state. At the end of 1990 she created the Princess Elizabeth Foundation, a non -political, not-for-profit organization after foreseeing the crucial importance of a vehicle to address the tension in Balkans region. Since the subsequent civil wars, her efforts have focused heavily on transporting medical supplies, food, clothing and blankets to refugee camps, in addition to finding homes for children victimized by war and placing older students in schools and colleges in America. Princess Elizabeth is a businesswomen and writer, author of four storybooks for children. In 2002 Princess Elizabeth received the first Nuclear Disarmament Forum Award, the Demiurgus Peace International, (accompanying Vladimir Putin, The Honourable Dr. Desmond Tutu, Ted Turner and others) for outstanding achievements in the field of strengthening peace among nations in Zug, Switzerland. It is to be noted that the ruling dynasty Karageorgevich and government of former Kingdom of Yugoslavia, have helped Tesla in his late years by providing him with a pension, which represented his only source of income.